Roger Rosenberg's research team has gotten international attention for the new DNA vaccine, which has shown positive results in animal testing. The disease affects six million Americans. After billions of dollars have been spent on research, and after countless journals have been stuffed with studies — Dr. Rosenberg alone has spent 30 years studying neurodegenerative diseases, Alzheimer’s in particular — there is currently no effective treatment. But Dr. Rosenberg says the DNA vaccine could be a game-changer for aging brains, and he's ready to begin testing with humans. Previous research already found that antibodies significantly reduce protein buildup in the brain, but there wasn't a safe way to introduce them into the body. Dr. Rosenberg came up with an idea: Start with DNA coding for one of the proteins, then inject it into the skin rather than the muscle, to produce a different kind of immune response. It worked. In the lab, it produced the needed antibodies to reduce the protein accumulation: a 40 percent reduction in one of the proteins, amyloid, and a 50 percent reduction in the other, tau. As part of KERA's Breakthroughs project on health, science and technology, Dr. Rosenberg talked about how the vaccine works. What is Alzheimer's disease, exactly? It's a neurogenetic disorder that begins in the memory areas of the brain, and it results in loss of nerve cells in the brain. 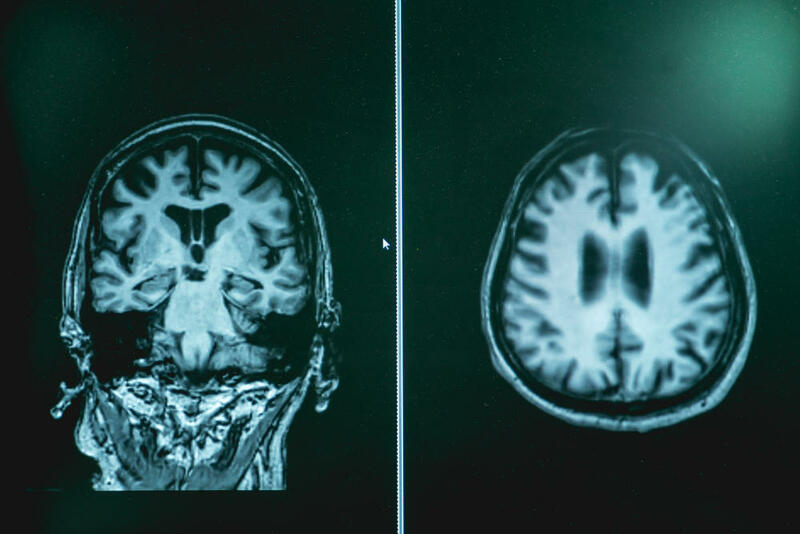 In addition to that early neuroma loss — you can actually see it on MRIs for patients who come to see me — there is a storage of two unique proteins: amyloid and tau. These proteins are the hallmark of Alzheimer's. In the vast majority of Alzheimer's patients, the problem is not in the production of these proteins — that seems to happen at a normal rate. The problem is the clearance of these proteins, or removal, out of the brain. Amyloid and tau are both normal proteins, but they're toxic. And in Alzheimer's disease, they accumulate. That is the major problem involved. How does the DNA vaccine work? It is injected, along with other controlling features of the vaccine, into the skin. As a therapy, it is a revolutionary, radical approach. It will reduce the two major pathologies for the disease. That should give people hope. How much of a difference could this vaccine make? That's hard to predict, of course. Honestly, it has the potential to delay the occurrence of the disease significantly. And if it's able to delay the disease, it should have an effect on the number of individuals affected, theoretically. Because it has the potential to affect so many people, does that weigh heavily on your shoulders? Of course it does. But the other side of the coin is, there is no other therapy at the present time. A great deal of effort has been placed to try to find a therapy. So anything that looks promising, — this DNA vaccine or any other new therapy that someone has — should be tested vigorously and thoroughly in order come up with a therapy that, for the first time, might have an effect. We have published extensively over the last 15 years on this DNA vaccine. Friends, advisors and co-scientsits have agreed: Now it's the time to test this in humans. When I present my research at international neurology meetings, the first hand that goes up is the question, "Now, when are you going to test it in humans?" And it should be. I want to move forward as vigorously as possible, because there's nothing else that has been successful. We deserve our day in court. Interview questions and answers have been edited for clarity. • More: Read UT Southwestern's news release on the DNA vaccine.